This beachfront Curacao hotel offers on-site dining at 5 restaurants, spa treatments and the Emerald Casino. Historic Willemstad and Curacao Sea Aquarium are just a 5-minute drive away, and the hotel offers a free daily shuttle service to Willemstad City Centre. 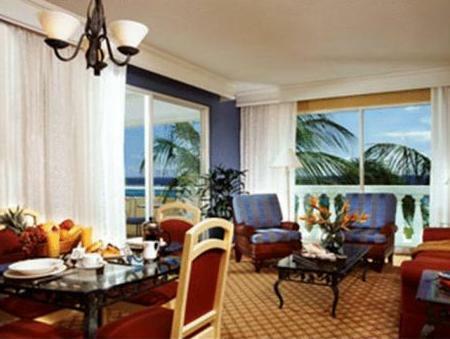 Curacao Marriott Beach Resort & Emerald Casino offers rooms with a view of the ocean and a balcony. Every room is equipped with a coffee maker, a work desk and an in-room safe. Select rooms have a sitting area and dining area. The Marriott Curacao Beach Resort & Emerald Casino offer an outdoor pool with swim up bar. A fitness center is also available at the hotel. 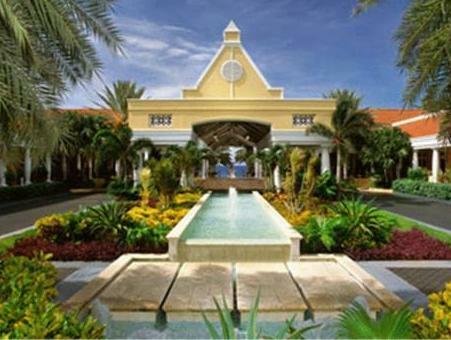 Emerald Casino Curacao Marriott Beach Resort is minutes from the beach. Jet-skiing, scuba diving and snorkeling are also located nearby. 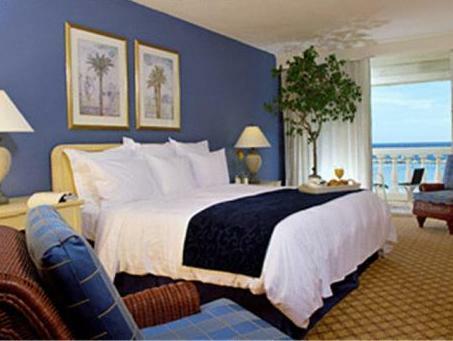 We decided to stay at this hotel after checking out from another one and we truly enjoyed the ocean view room. The breakfast was nice. We couldn't resist laying at the wonderful swimming pool have some drinks and cool off. There was live music at the hotel with high quality music. Good drinks and food. We really enjoyed it and wished we could stay a bit longer. Muy buena la estadia, la atencion tambien excelente, los cuartos y el tamaño del baño insuperable. Negativ waren lediglich die renovierungsbedürftigen Zimmer und der überhöhte Preis von 28 $ für Frühstücksbufett pro Person. wir hatten ein zimmer zum meer und waren mit der ausstattung sehr zufrieden. man konnte direkt vom zimmer ins meer springen, besser mit badeschuhen, denn der strand ist, wie fast überall auf curacao steinig. zu fuß kann man die stadt schlecht erreichen, es lohnt auch nicht zu gehen, die umgebung gibt nicht so viel her, aber es gibt, glaube ich, einen hotelshuttle. wir hatten ein auto, also keine probleme. nachteilig ist, dass nur sehr wenige tische im restaurant im außenbereich sind, das nimmt ein wenig das karibikfeeling, doch es hat vielleicht den grund, dass am abend immer mücken da waren. das hotel ist sehr schön, das personal kann noch dazulernen. auf der insel kann man es wirklich empfehlen, da die lage recht zentral ist. weit entfernt vom gänzlichen leben ist das kura hulanda hotel, aber entweder nur mit auto zu empfehlen oder für zwei, drei tage - das ist karibik. Zeer enthousiast over de algemene ruimtes van het hotel zoals lobby, restaurants, zwembad, strand. Kamer meer basic en helaas geen free wifi.